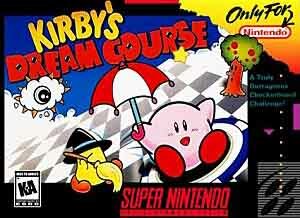 Kirby's Dream Course for Super Nintendo is a checkboard golf game. 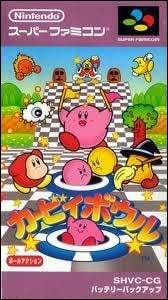 Your ball is Kirby, a small, pink creature. Adjust the force and angle of your shot as you try to put Kirby into the hole. Along the way, you will have to avoid a number of obstacles including warp panels, conveyer belts, and turntables.